Back by popular demand. Dr. Brian Ellinoy will interview Denise Warfield to discuss the health benefits of Intuitive Energy Healing. Denise Warfield will explain how you can open up your own intuition and use it to benefit your quality of life. 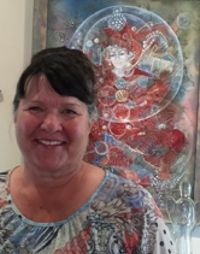 Denise Warfield is a Reiki Master, massage therapist, certified angel therapist, medium and is knowledgeable in other non-certified modalities. This event is part of The Next Chapter: Designing Your Ideal Life lecture series sponsored by the Friends of the Library and the Monterey Public Library Endowment Committee.